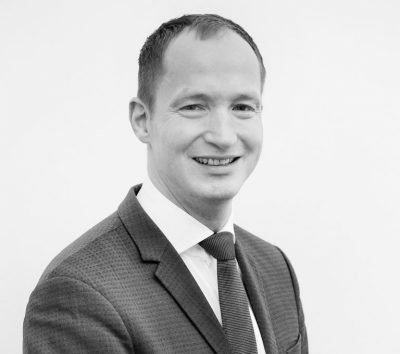 Roland Mönikes draws on more than 15 years of professional experience in various roles as in-house counsel, managing director, project manager and consultant. His focus is on the holistic transformation of organizations in the area of organizational, process and decision-making structures. Roland Mönikes sees himself as an implementation consultant who supports the strategic orientation of his clients not only by establishing the appropriate strategy, but above all by tailoring and implementing the organizational structures required for strategy implementation. In this context, he deals equally with growth and restructuring issues. Roland Mönikes primarily advises clients from medium-sized industry, logistics and the research and scientific environment. The fact that apparently contradictory industries can learn a lot from each other is regularly reflected in the individual customer solutions he designs. The trained lawyer began his professional career in a logistics start-up before moving to the top management consultancy Kienbaum in 2010. In his spare time, the married father of a family and a convinced Rhinelander is an enthusiastic sportsman and volunteers his time to promote and further the professional development of active competitive athletes. I am the son of a ministerial official and a special education teacher, married and have a daughter. Born in the former capital Bonn, my student and professional way led me via stations in Switzerland, Spain, Berlin and Ulm back to the Rhineland, where I feel most at home. As a former competitive athlete, I firmly believe that only those who surround themselves with the right team and have enough stamina to fight against resistance for private and professional goals can be successful. The most beautiful, but also the rarest constellation is an intensive sports unit followed by dinner with my family. At home with my family, at sports, in the stadium (at 1. FC Köln) and during extensive cooking evenings and barbecue sessions with my family and good friends.